to live a life your way! 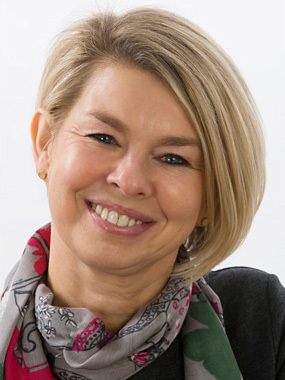 Helen Olphin is currently a Nutritional Therapist and Coach. She started her professional career as a physiotherapist specialising in surgery, A&E and intensive care, working in this country and then in a senior position at the world famous Groote Schuur Hospital in Cape Town in which she treated Nelson Mandela. She later worked at Milpark Hospital in Johannesburg, working with Marius Barnard a cardiac specialist, who performed the world’s first human heart transplant with his brother Chris. As a result of her hospital work, she developed a deep understanding of the integration of body systems and the effect that infection, surgery and trauma can have on it. On returning to the UK she became part of the Senior Management Team at Dudley Road Hospital in Birmingham and completed a masters programme in Organisation Development, developing a specialism in change management. This resulted in her setting up her own business to work primarily in the private sector on leadership, team and personal coaching and organisational development. This she ran successfully for 15 years, but then developed a passion for working more holistically when choosing to support children who had learning difficulties. She recently completed a 3 year Nutritional Diploma at the Institute for Optimum Nutrition, to further develop her knowledge of integrated functional medicine and in particularly energy systems, having experienced chronic fatigue herself and the many challenges this brought. Functional medicine emphasises a definable and teachable process of integrating multiple knowledge bases within a pragmatic intellectual matrix that focuses on functionality at many levels, rather than a single treatment for a single diagnosis. Functional medicine uses the patient’s story as a key tool for integrating diagnosis, signs and symptoms, and evidence of clinical imbalances into a comprehensive approach to improve both the patient’s environmental inputs and his or her physiological function. 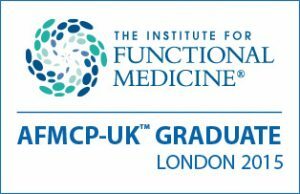 I attended and completed the AFMCP™-UK training in London in 2015.